Healthy Eating: It’s in the can! Eating healthily is one thing many of us aspire to do, whether it’s by following a diet, cutting out excess sugar or trying to eat a little less. However lots of us struggle to know where to start. 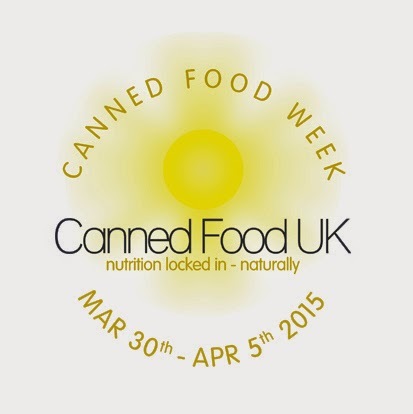 That’s why for Canned Food Week 2015 (March 30 – April 5), Canned Food UK has teamed up with celebrity nutritionist Amanda Hamilton, to show you just how easy it is. Canned Food Week aims to raise awareness of canned food and its nutritional benefits. This year Canned Food UK and Amanda Hamilton have produced a set of healthy eating plans, each one with recipes that will take you from breakfast through to dinner. Running from Monday to Sunday, seven plans have been created for a number of different audiences, from older people and students, to families with younger children and couples. Each plan also features a brand new recipe from Canned Food UK, two of which have been designed by Canned Food UK ambassador and celebrity chef James Martin. I don't know about you, but I always have canned food in the house. Tinned tomatoes are a must, I also keep a stock of canned fish and pulses, I even have a can of snails in my larder! It's always great to have some new ideas for how to use those cans, they are brilliant for self-catering and camping holidays too. Add the canned tomatoes and bring to a simmer, then reduce the heat and cook for 10 minutes until just thickened. It was really easy to make and very tasty and filling. So handy to have recipes you can put together from your larder that will feed a crowd, I'm sure my boys would have scoffed the lot! 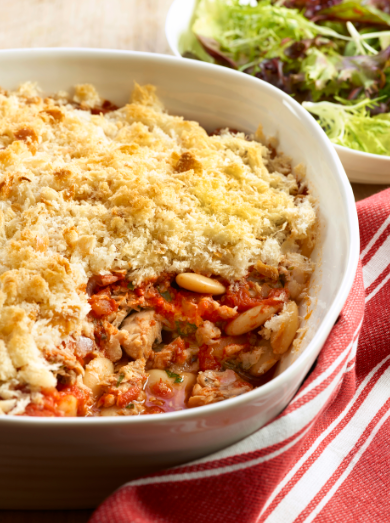 Remember to check out the Healthy Eating Plans and the other recipes on the Canned Food UK website. It's such a shame my mum doesn't like tomatoes because I would have persuaded her to have this for dinner. As it is, I'm saving it to make at uni because it sounds delicious and so easy. Thanks Helen, it's so easy to make too. Perfect for uni, check out the other recipes on the website, there are loads of affordable recipes, quite a few by James Martin too. my secret love is tinned salmon. I adore it. I would clearly adore this dish, it looks divine! Doing my Canned Food Week post has made me realise what an important part they've played in my life - It's not something I'd really dwelt on before. 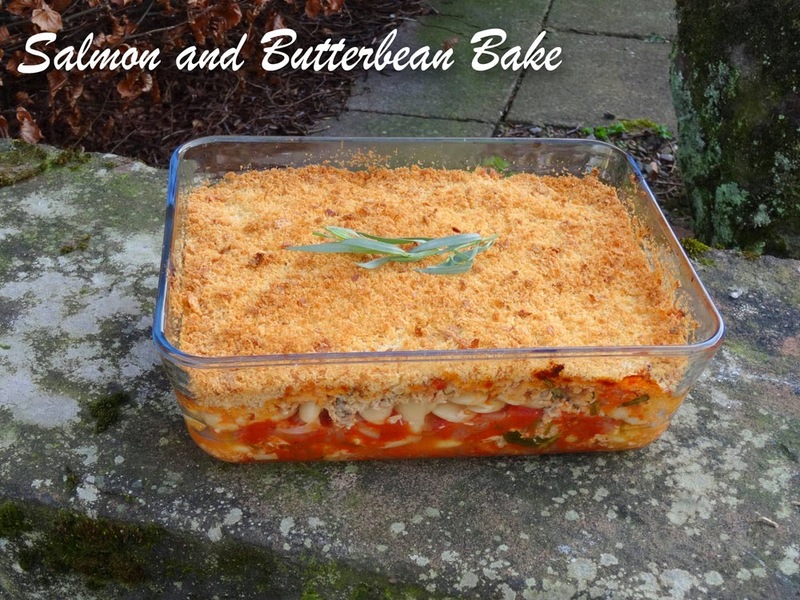 That looks fabulous Janice and I was torn between this recipe and the one I made, as I adore butter beans and salmon! Great choice.....NO spiral spuds though? LOL! Love tinned salmon! I think this would also be nice with tuna. Thanks for sharing. I love it too Dom, so useful to have a can in the larder. Love it on sandwiches. I know, we take cNned food for granted. Thanks, no need for the spirals this time, Karen. This looks delicious, I am going to try this!